New things come about through experimenting, tweaking, changing and muddling. The latest venture for 42BELOW is no different. It’s no secret that 42BELOW has been a little quiet of late. The maverick brand, renowned for its off the wall marketing campaigns has been somewhat below the radar. With this in mind, 42BELOW invited a range of creative agencies to come up with a fresh new means of connecting with their audience. 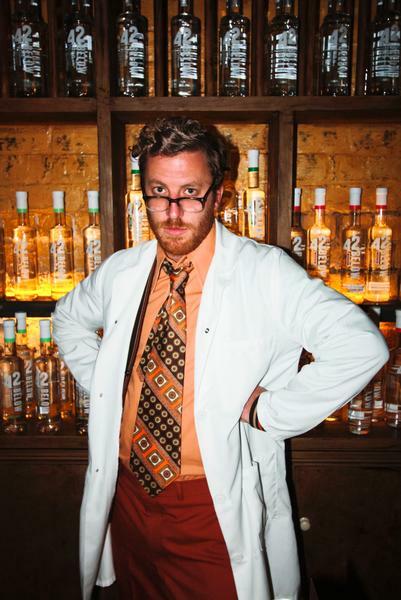 The initial brief from 42BELOW was to leverage its own platform 'Vodka University' including the 'Vodka Professor'. New Zealand Sponsorship Agency (NZSA) came out trumps after working with a number of others and defining the platform du jour as live theatre! And when it comes to new ideas and live performance they looked no further than partnering with Silo Theatre. In the early devising process, Oliver Driver, Jodie Molloy and the cast work-shopped ideas using satire and an 'educational' framework along the lines of University Challenge together with many other popular educational television programmes from the 70s era. The challenge was to devise a new theatre production that was inventive, provided a well integrated, yet subversive 42BELOW brand experience and, most importantly, stood up as a show in its own right - no one would deny that this was a complicated task. The final play, DID I BELIEVE IT? serves up a handful of highly comic oddball characters to disseminate the silly, the mad and the historic facts about vodka – all against the backdrop of two very cool new bars in Auckland and Wellington. The result is hilarious, offbeat live theatre which is perfect washed down with a couple of carefully crafted cocktails! Starring: Adam Gardiner, Brett O'Gorman, Dean O'Gorman and Toni Potter.